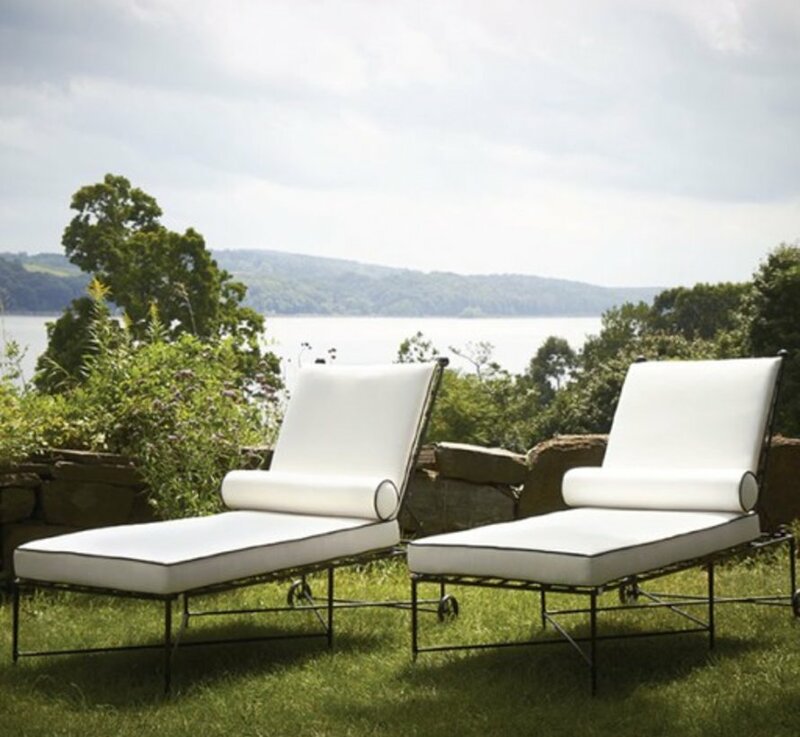 This chaise lounge features deep seated cushions for maximum comfort and finials for added elegance. 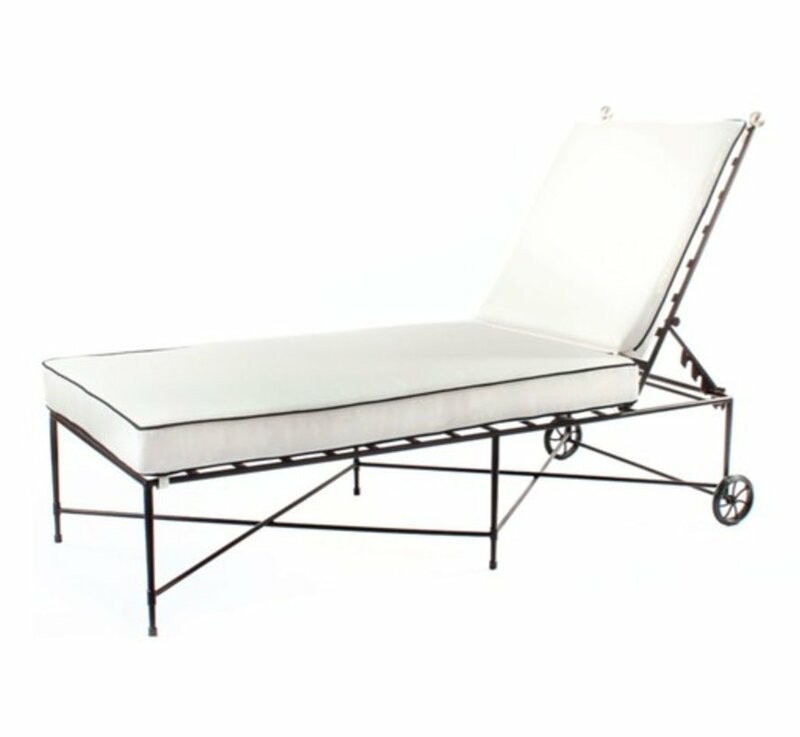 The framework is handcrafted with sleek lines, highlighted by a bold square pattern. 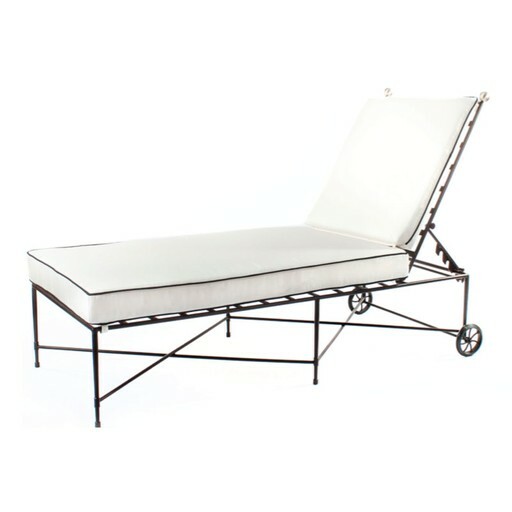 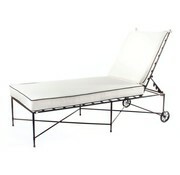 Wheels on the rear legs make moving the chaise lounge a breeze.